The photograph shows some coffee tins that I gave a makeover with some red spray paint! Spray paint is great to transform something that was heading for the trash, into something quite stylish! The tins above were from my husband's coffee habit, I don't personally like coffee I am a typical British tea drinker. 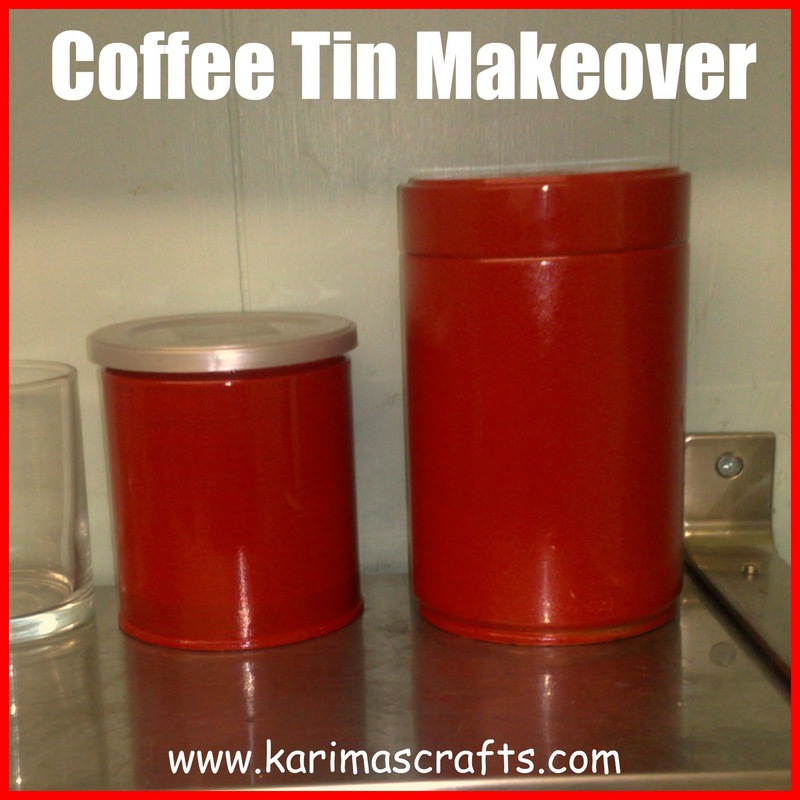 Now because of his coffee addiction I have some great storage tins! Here is my mini tutorial on how easy this is. I think the photographs really speak for themselves. Place the tin on some newspaper, somewhere well ventialted - I chose outside. If it is windy(it was on the day I chose) place something heavy inside - I placed a yogurt carton filled with water! 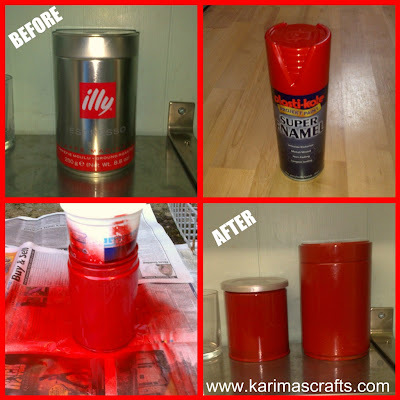 This carton was also helpful to stop the spray paint from spraying inside the tin too. Great job. I love spray paint too. Such and easy way to transform just about anything. They look great! I love how spray paint immediately improves things! 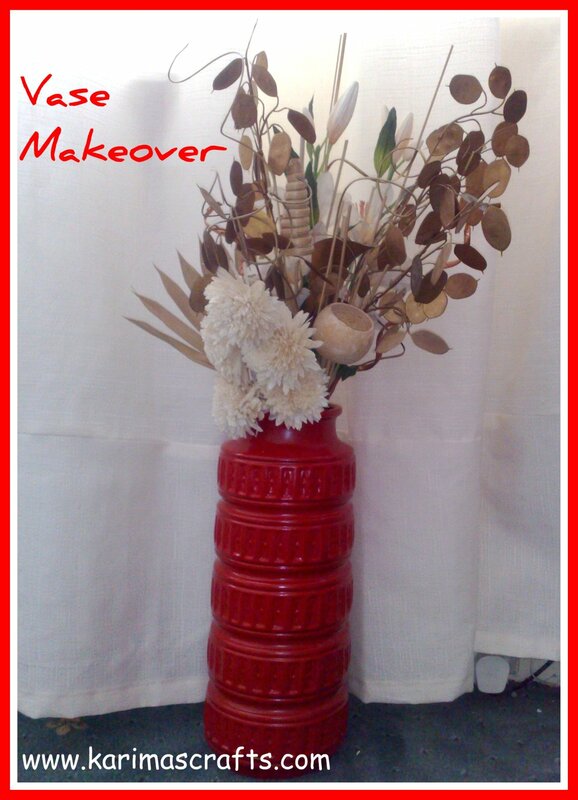 Love the color you chose for your vases! Spray paint is so addicting...I can never stop! Thanks for your comment on my Top 11 Posts and the Ice Cream in a Box. I appreciate you taking the time to do that! I just gave you a versatile blogger award!